How is your sunday coming along?? As you know by now that I am a Jain, we have a 10 day festival going on, so we are a bit busy in the mandir activities. 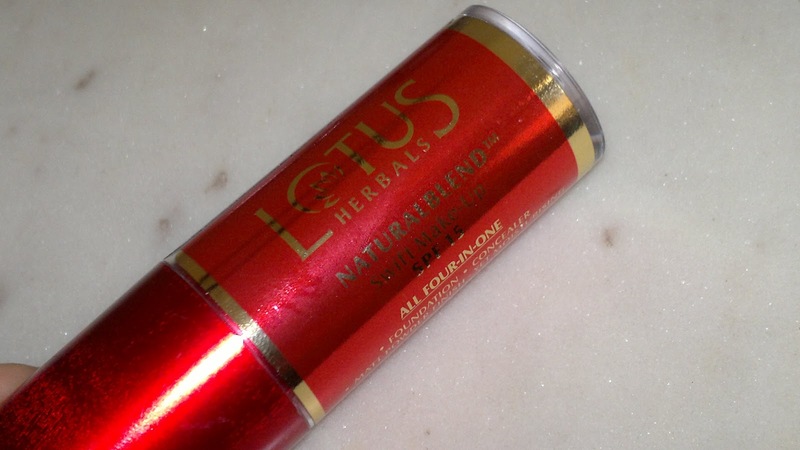 Anyways, coming to the product I am reviewing today, it's Lotus Herbals NaturalBlend Swift Makeup with SPF 15. The product claims to a multi-purpose one and could be used as foundation, concealer and sets to a matte powder finish so you wouldn't need to powder your face afterwards. Also, it has sunscreen, which makes it safe to skip sunscreen depending upon your exposure. Price: INR 249 for 10 g of product (I got this for a discounted price of INR 237). 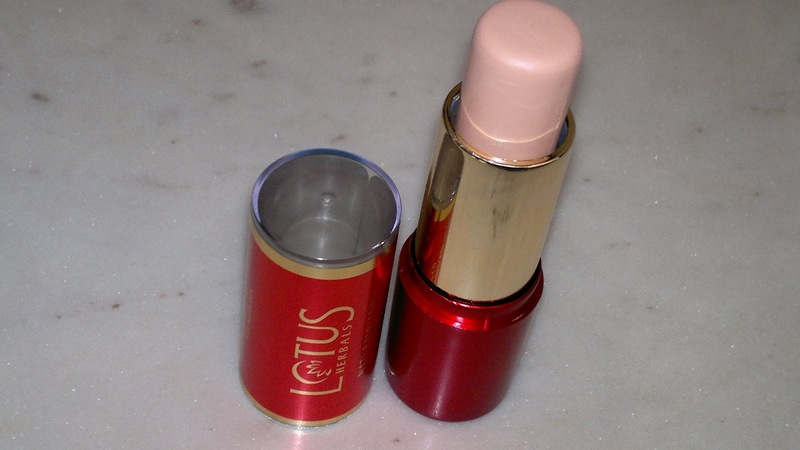 Packaging is like a lipstick, with a plastic casing encasing the foundation bullet, the cap seems a bit filmsy though and rolls off if the foundation is stored horizontally. It doesn't click tightly in place. 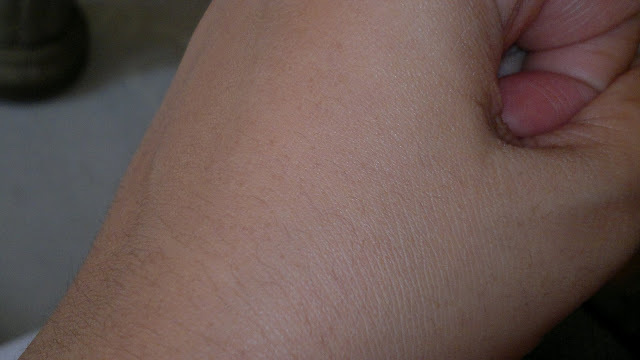 As you can see from the picture above, the foundation blends on pretty nicely on my skin. I am actually liking this foundation a lot as it is easier to apply compared to liquid foundations and blends easily with fingers. Also, it can be used for spot application if you don't want to cover your face completely. It works very well for my under eye area as well, as I don't have very pigmented skin there. I have used this as eyemakeup base as well, and it performs excellently there as well, the eyeshadows show up pigmented and stay on without creasing for the whole day. Though I have yet to test it outdoors, as my job profile makes me stay indoors, but it should perform equally well, as it has not started melting as soon as I step out in the sun. 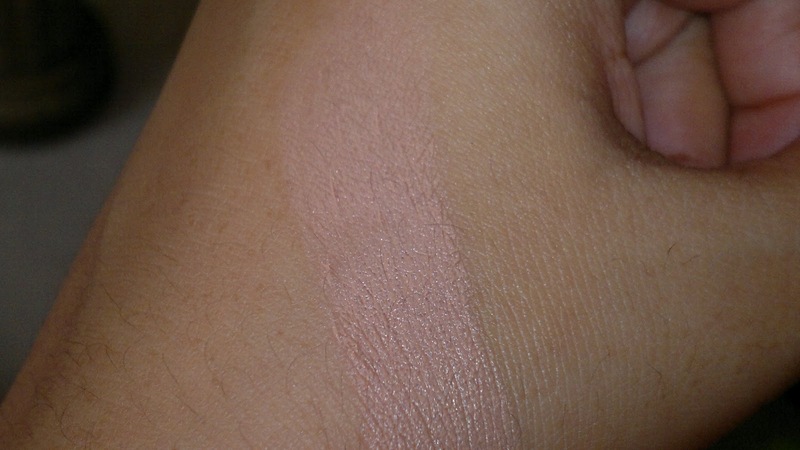 The first thing I like is the ease of application, second comes the multipurpose usage, third is the matte finish. Dries completely matte on my slightly oily skin and stays like that for the whole day, I don't need touchups once set in the morning. Also, I like the slightly rosy fragrance of this foundation, nothing too irritating, which stays on with me for the next hour after application. This foundation has never ever broken me out since I am using this, very good for daily application, the price is pretty decent as well. The coverage provided is sheer to medium, doesn't do opaque, so if you are looking for a more opaque one, this one is not for you. though for all practical purposes this one will work fine with your skin. Texture wise the foundation is creamy and even after it sets, for which it takes 2 minutes at the maximum, it doesn't dry the skin. I am wearing this foundation (HERE, HERE, and HERE). Product rating: A+, available at online beauty sites, as well as in malls and local beauty shops. Would definitely recommend this to all of you looking for budget foundations, and also to those looking for a good daily purpose foundation. BTW today I saw that Lotus Herbals has launched it's PureStay Collection (long lasting makeup), can't wait to try out some products from that range.